Investment Rounds. Define Purpose. Set Goals. Investment rounds are sometimes an essential part of the startup growth journey if you're not able to generate enough cash to move to the next level. Reasons can be too numerous to mention and are specific to the startup. No matter what the reason, it’s essential to define the purpose for the round with goals that need to be achieved. Keep everyone in the boat moving in the same direction, as well as, not getting off course or down rabbit holes. Seed investment is as it sounds, it is the start of funding for a startup. This round is meant to prove that the model can become a minimal viable product or service. If the money is coming from insiders, it’s called Seed Investment. If they are outside investors that buy common stock, it’s called Angle Round. Same purpose different sources. Product Focus: What is the minimal viable product? What problem is it solving and why should anyone want to use or purchase it? Audience: Who will use the product? What pain is it taking away for the audience? Can you perform a focus group or twitter survey? Market: Are there any competitors out there? If there isn't, why? Has any come and gone, and why? Is there a need or open space in the market? Are there any existing market research on the industry or market you're planning to enter? Talent: Are there any missing pieces in your team to bring this idea to fruition? Are you need of some expertise (as a partner, contract for hire, or temporary consultant) to provide the answers to any unknowns? Consultants are great because they can provide a big picture view as well as seeing any blind spots in your strategy before you spend lots of time, energy and money. Series A is for startups that either doesn't need seed money or already up and running commercially. They have a strong idea with high promise or minimal viable product defined. As I mentioned, the product could be built and started to gain an audience at this point. Distribution: Increasing sales through alternative sources of distribution or strategic sales partners. New Markets: Looking for open space in the market to exploit then having the funds and resources to take advantage of those holes. Next Level: The startup needs experienced talent or more capital to leap to the next level. Money could be needed to build additional functionality, companion product or new product to a line of future products. Deficit: Sometimes more capital is needed because one of the situations above (Next Level) has already begun or completed, and the startup needs cash to bring it back from the shortfall. New Personnel: This can be C-level to employees filling overworked positions with the intent of helping create a smoother running machine, develop efficiencies or oversee special projects. Expansion: Taking on new market territory, moving into other countries, or help with the development of the franchise model are all possible scenarios. Acquisitions: Whether it's needed talent or supporting IP/technology to be able to make growth more efficient and sustainable. I hope this information is helpful. It has been provided for educational purposes only and is not legal advice. 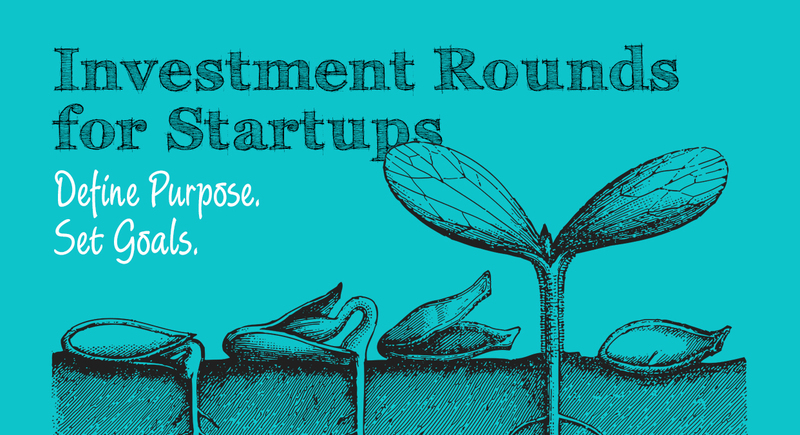 Every startup is different, and there are many ways to fund a startup – the rounds mentioned are not a "process' or "standard" and are examples of types and sequence of funding rounds. The titles are not universal and sometimes referred by other terms. Just because an investor uses a term for a round of funding doesn't mean it matches the descriptions below. Review all documents carefully always consult legal counsel.